Help Us Find New, Undiscovered Talent! Each year, NAPCP looks to shine a spotlight on one of our industry’s brightest rising stars. And we need YOU to help us find them. We all know how challenging those first two years of running your own business can be – learning best business practices, juggling marketing, branding, finances, equipment, workflow … all while consistently producing gorgeous portraiture for clients. We love the spirit and tenacity of the future greats in our community, and we are here cheering them on. To give them a little push in the right direction, NAPCP is honored to host its fourth Best New Emerging Child Photographer Contest! In a few easy steps, you can help us recognize talented newcomers who you find inspiring. Nominate your favorite(s) here on the NAPCP website! Our team will review all nominations and announce the group of semi-finalists to move to the judging process. Then, our esteemed panel of judges will narrow the field to six finalists. Then it’s up to YOU to vote for your favorite finalist! We tally up the votes and spoil the winner. Stay tuned to learn more about our prizes for 2019! Billy Howard is a documentary photographer, writer and videographer. He is vice president of the board of directors for Atlanta Celebrates Photography, the nation’s largest community based photography festival, and was a 2011-2012 Rosalynn Carter Fellow in Mental Health Journalism. He holds an honorary doctor of literature degree from St Andrews University in North Carolina and has received grants from the National Endowment for the Arts and other non-profit and governmental sources. His work has been exhibited with the Smithsonian; the Library of Congress; Vogue Italia; on a five-city tour of Japan; and has been featured in documentaries for Frontline and HBO. He has been interviewed on Good Morning America and CBS This Morning and his images were projected at the opening ceremonies for the 1996 Summer Olympic Games during a tribute to Martin Luther King, Jr. He was selected as a 2016 Photolucida Critical Mass 50 photographer. Howard produced the first full-length documentary book on the AIDS pandemic: Epitaphs for the Living: Words and Images in the Time of AIDS. His negatives, prints and correspondence from that project were acquired by Emory University’s Stuart A. Rose Manuscript, Archives, and Rare Book Library, and his photographs are in the permanent collections of the Library of Congress, the High Museum of Art, the Carter Center, the Centers for Disease Control and Prevention, and other public and private collections. Photographer and educator Heidi Guerard of Heidi Hope Photography® is a former high school photography and art teacher who achieved recognition with her whimsical and ethereal backdrops in her Rhode Island portrait studio. Together with her husband Shaun, Heidi has operated the Heidi Hope Photography studio since 2009. The demand for her signature style of the hand-painted backdrops grew, but Heidi knew that the backdrops were only part of the equation for photographers to succeed. In 2012 she founded Photographer Rising®, a resource for photographers to set them on the path to business success. In recent years Heidi founded Heidi Hope Design Partners and Heidi Hope Backdrops as a resource for photographers to help them with both the creative and the business side of portrait photography and to teach them to find their voice in their art and their business. Heidi continues to photograph out of her Rhode Island studio while hosting international workshops and doing public speaking to inspire and uplift creatives. 2011 she built her own underwater camera housing, entered the world of underwater portraiture and never looked back. She now travels the globe to shoot, displays work in various art galleries throughout the country, and speaks to those looking to turn even their most outlandish dreams into a practical career path. Jenna Martin has been sharing her ever-evolving knowledge of social media for several years, teaching from her experience. 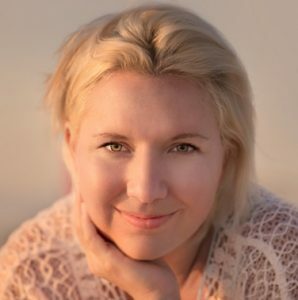 She has written, developed and produced workshops on social media marketing, as well as styled portraiture, and is a highly sought after photography coach and mentor. Jenna has been a featured presenter for TedX, Shutterfest, and Canon Cameras. When she’s not taking pictures, she’s usually spending time with her family, taking in stray animals and participating in general, all-around rule breaking. Joni Lay is the designer behind Lay Baby Lay, and focuses on baby and children’s interiors. She loves creating bright, imaginative spaces that the whole family will enjoy, and lives in Atlanta with her husband and three daughters. Mandy Johnson is an international award-winning, Nashville-based professional photographer who can often be found working magic in her studio in historic Franklin, TN. 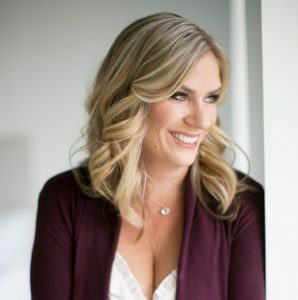 An old soul inspired by all things vintage and a dreamer of a simpler life, her clients include celebrities, musicians, pro athletes, and adorable families that trust her with their stories. Mandy’s work has been featured in many media outlets including Southern Living magazine, TODAY, The Rachel Ray Show, The View, PEOPLE magazine, Ellen and numerous local publications. She is a proud member of the National Association of Professional Child Photographers (NAPCP), strives to be the best that God has made her to be, and is always looking for more kindness in the world! Meg lives remotely in Michigan’s Upper Peninsula with her husband, three boys and saint bernard. She is drawn to environmental portraiture, lifestyle photography, landscapes, low light and color. Her greatest inspirations are her children, nature, Dutch Masters, Wes Anderson and Norman Rockwell. She loves to find ways to merge different photography genres together, especially children’s portraiture and nature. 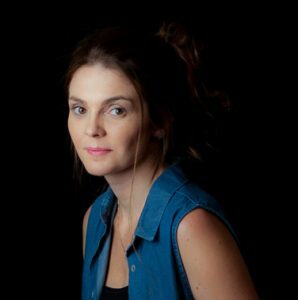 Meg is a mentor at Click & Company and teaches two online courses through Click Photo School: Finding the Classic Beauty in your Everyday and Mastering Manual Exposure. Outside of photography, you will find Meg is most comfortable outside. 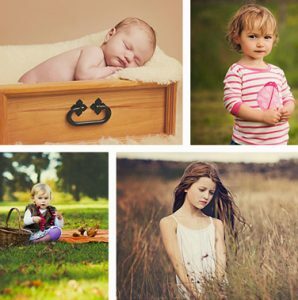 The National Association of Professional Child Photographers (NAPCP) recognizes the accomplishments and creative excellence of child and family photographers in the industry. The purpose of this contest is to encourage creative excellence and support the growth of the niche of child and family photography. Photographer nominee must have a professional online presence and working website that includes child and family photography. Finalists must be able to provide a copy of a valid business license and Tax ID number as legal proof of running a business. Nominee must have been running a professional photography business for 2 years or less. Each person may nominate any number of photographers that meet the qualification guidelines during the open nomination process. Photographers may NOT nominate themselves, but may be nominated by anyone else. All nominations will be reviewed by NAPCP and semi-finalists will be announced. Independent panel of judges will review semi-finalists and select the top 6 finalists for public voting via NAPCP website. The winner of the contest will be selected based on public voting through NAPCP website. Employees and family of NAPCP and sponsor companies will be ineligible for this contest. Legal Disclaimer: Finalists agree that any entered photograph may be used by the National Association of Professional Child Photographers (NAPCP), in any of its publications, printed materials or electronic media, such as but not limited to, any of its websites or its affiliates’ web sites. Model releases must be available for all recognizable individuals in submitted photos. Do not submit these releases unless requested. Submitted images, and any images or video taken during trip to Atlanta, may be used in connection with the contest and by NAPCP and/or contest sponsors for promotion in the future. Thus, finalists grant a non-exclusive, royalty-free, perpetual, limited license to use, publish, reproduce, display, distribute, use for promotional purposes and cross-promotional purposes. Photographer retains all copyright for the images they submit to NAPCP. NAPCP, at its sole discretion, has the right to disqualify any nominee for any reason.